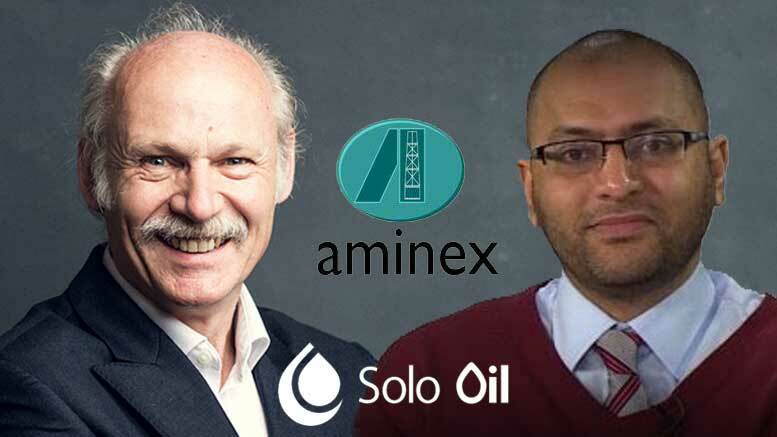 TanzaniaInvest had the pleasure of interviewing Jay Bhattacherjee, CEO of Aminex plc (LON:AEX), and Neil Ritson, Chairman of Solo Oil Plc (LON:SOLO). Aminex is an Africa-focused oil and gas exploration and production company with two operated discoveries in Tanzania. Solo Oil is an oil and gas investment company with a diverse global portfolio of oil and gas assets in Tanzania, West Africa, the UK, and Canada. Jay and Neil share with TanzaniaInvest their experience in investing in Tanzania, their current projects and operations, and their expectations and strategy for this emerging oil and gas market. TanzaniaInvest: Tanzania shares with Mozambique vast offshore natural gas reserves. Why did you decide to invest in Tanzania? Jay Bhattacherjee (JB): Aminex has been in Tanzania for 14 years. We were the first license holders to go through the entire exploration process in Tanzania: Production Sharing Agreement (PSA), appraisal, development, and now production. Tanzania’s oil & gas sector presents plenty of growth potential and opportunities. But the biggest and simplest reason for our decision to invest in Tanzania over Mozambique is that in Tanzania there is infrastructure in place for gas. The new 532m gas pipeline connects Mtwara in Tanzania’s southern region to the commercial capital Dar es Salaam, and it is combined with two processing plants that are already in operation. That’s pretty trailblazing for sub-Saharan Africa. What is needed now is to distribute the gas to the end users. Only 36% of Tanzanians have electricity [Tanzania Ministry of Energy 2014 data] and oil and gas companies operating in Tanzania like Aminex, are going to play a big part in the country’s future energy growth. [The Tanzanian government is currently implementing a national energy policy, which aims to increase the country’s overall electricity connectivity to 50% by 2025 and to at least 75% by 2033]. TI: Solo Oil has partnered with Aminex in two projects in Tanzania and you currently have no other investments in this market. Why such strong focus on Tanzania and on Aminex? Neil Ritson (NR): Tanzania is one of the best options we have on the African continent. Tanzania is full of opportunities, has gas discoveries, has infrastructure, a track record of stable governments, and the country is now sorting out its energy policy in a sensible way. Tanzania has all the elements in place and this is why Aminex is progressively focused there, and this is why Solo Oil invests in Aminex’s projects. The philosophy of Solo Oil is to invest in projects which need capital, but also need some expertise that Solo’s management can provide. We are very active investors. Solo Oil is run by oil people, not by bankers. We co-invest, we put in the time and effort to help the investment be successful by providing guidance on strategy, technical expertise and other support. Solo Oil does not invest in companies scattered all over the world. We invest in companies that focus on what they do best and for Aminex that is Tanzania. Solo Oil shares the same philosophy and ideology as Aminex, with whom we have been working in Tanzania for five years. As a result, we are a partner with Aminex in Kiliwani North [Aminex 54.575%, RAK Gas 23.75, Bounty Oil & Gas 9.5%, Solo Oil 7.175%, TPDC 5%] and in Ruvuma [Aminex 75%, Solo 25%]. In Tanzania, we have signed the much-awaited Gas Sales Agreement (GSA) with the Tanzania Petroleum Development Corporation (TPDC) for the Kiliwani North gas project. In Ruvuma we were technically involved in helping make the gas discovery. That’s why our track record of drilling successful wells is very high. Solo Oil has invested elsewhere in Africa, namely in Nigeria [Solo Oil has a 20% stake in Burj Petroleum Africa], but this has proved more challenging than investing in Tanzania. TI: Following the signing of the GSA for Kiliwani North, you started delivery of gas to TPDC on 4th April 2016. Are you confident that the much-negotiated payments terms and guarantees will sustain your cash flow expectations? JB: As a result of the GSA, TPDC will pay us at the end of each month. The first payment is due mid July 2016, the second in August 2016, and thereafter at the end of each month. On our end, we are ready to deliver as much gas as needed to TPDC [which in turn provides the Tanzania Electric Supply Company (TANESCO) with gas for power production]. NR: Commissioning of gas isn’t covered by the same payment guarantees included in the GSA, but we have submitted invoices and we certainly expect that they will be paid. TPDC has indicated that they will pay, and we see absolutely no reason why they won’t. TI: Aminex made onshore gas discoveries in Ruvuma at Ntorya-1 in 2012. How far are we from the actual commercialisation of the gas? JB: Ruvuma early stage production can be somewhere as soon as 12 months from the announcement of a commercial discovery. Ultimately, as we drill and develop that basin, going forward, that gas is going to be utilised in the national pipeline. NR: At the moment, we have found 100 billion cubic feet (BCF) but we think there could be ten times that. We’ll get the appraisal wells down, and then we will decide on what kind of development scheme we are going for. TI: And do you also have the financing needed to develop Ruvuma? NR: And we don’t need it. We need to appraise the discovery first. After we have the gas volume approved, we’ll decide what to do: dive into the project with financing investors, or raise the bank finance necessary to continue. But first we need to complete the appraisal and this is our job for the rest of this year . TI: Will there be a similar GSA in place with TPDC for Ntorya-1? JB: The structure of the GSA will be the same, but the pricing mechanisms will depend on where the delivery point is. One of the biggest advantages that we have with Kiliwani is that our delivery point is right at the outlet flange of the wellhead, thanks to the fact that TPDC, through government initiative, built that infrastructure right to us. In the case of Ruvuma, we will either build a centralised gas gathering facility in Ruvuma and then connect it to a processing plant; or TPDC will build the infrastructure for us. All of that will be built into the pricing mechanism that we will structure with TPDC. So it will very much depend on where and how the gas will be delivered, and on who’s building the necessary infrastructure. TI: What about Aminex’s third license in deep-water Nyuni basin? What is the current situation in terms of exploration? JB: We are currently focused on production, development and appraisal opportunities. Nyuni is a valuable piece of acreage, but our priorities are Ruvuma and Kiliwani right now. The Tanzanian government wants us to develop Ruvuma to deliver its gas in the near-term to fill in the pipeline. If Kiliwani can provide less than 10% of the energy mix of Tanzania, Ruvuma could easily provide 30% or 40% of that energy mix. We also want to develop Ruvuma as soon as possible, since it will enhance our cash flow. TI: Has the support of the Tanzanian government been adequate so far? And have you noticed any change since the new government has been in place? JB: We have been in Tanzania for almost 14 years. We and our partners have invested over USD150mbillio. Since 2002 Aminex has drilled six wells, five as operators, and out of those five, we made two discoveries, one of which is in production. That is quite a record for onshore exploration and it couldn’t have been achieved without the support of the government. That being said, we have noticed, in the last three years, an increased focus from the Tanzanian government on business policies and on the commercialisation side of the gas. As a result, the government has put the infrastructure in place and has been engaging with companies, moving things as fast as possible. We have seen a bit more initiative of late, but I think it has more to do with the fact that gas is now flowing in the pipeline [from Kiliwani North]. As a result, businesses are coming to Tanzania, fertiliser companies are winning tenders, and power plants are being established. In a few years from now, the country will be powered with gas, and that’s what we want to be part of. TI: Do you think Tanzania is on the right path in developing its oil and gas industry? NR: Definitely. There is a large domestic and regional market and they are taking advice from other countries which have been through the energy revolution. And they are committed to building infrastructure, which is key in developing the gas market/industry. TI: And how do you explain Tanzania to your investors? What does it represent in Solo Oil’s portfolio? NR: Usually, when the projects we invest in reach a value point we move on and reinvest somewhere else; we act as a seed investment fund. But Tanzania offers such a big prize over the long-term, and that is why we are heavily invested there and continue to do so. Tanzania is an anchor country for Solo Oil and as such, it’s a country we will stick with. Other investments will come and go, but Tanzania is part of the fabric of Solo Oil’s investment model. Tanzania is full of opportunities and has proven to be a lot easier to invest in effectively compared with West Africa, mainly because of the policies and support by the government. Tanzania has a track record of stable governments, and the country is now sorting out its energy policy in a sensible way. What Tanzania needs now is gas in its energy mix, and for that, the missing component is distribution; it is not supply, and it’s not transport infrastructure but delivering to customers. Tanzania is going to be cash-generative for Aminex and Solo Oil for the long-term, and therefore, we are not so likely to look for an exit from that. As we are planning to be in Tanzania for the long run, we are beginning to think outside the Aminex box. We have a very good relationship with Aminex, but there are other projects in Tanzania in which we can invest. There’s more we can do in Tanzania and in the short-term, we’ll look for additional opportunities. But first, we need to get some milestones behind us. Getting a GSA was big; getting the first gas moved was important. Getting our first sales is going to be big; getting long term commercial gas is going to be a big catalyst, together with the appraisal of Ruvuma. The geology will dictate whether there’s a trillion cubic feet (TCF) of gas in Ntorya or not, but the only way to find out is by drilling wells. That is why Solo Oil and Aminex are working to drill a new well at Ntorya by the end of 2016. Tanzania is a genuine long-term investment for Solo Oil. Tanzania has discoveries, it has the infrastructure, it has a market, and all we are doing is assisting in the process of connecting those elements together in a way that generates money for Tanzania and our shareholders. This connection between supply and demand and the infrastructure in place is a rare opportunity.